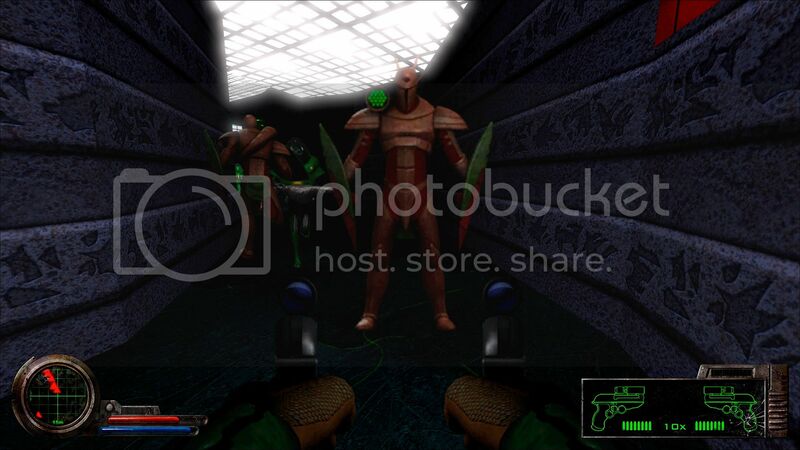 The DHSP is a DOOM community effort to recreate the original DOOM,DOOM2, and Final DOOM sprites in high resolution(minimum 8x larger than the originals), while keeping the same style and feeling of the originals and be to be used by DOOM engines that support it. There are no photoshoped textures or upscaled original in this pack. Would these be screenshots of the (new) models? Just thinking that then the model distance cvar would be more useful if the sprites and models have the same look. Everything these days should be models. Sprites are out of date and are very 90's. I use models for Doomsday and won't be going back. But just maybe I will give these sprite a try. Of course I will go back to using models after that because they are better in everyway. I agree. I can't stand sprites on big screens anymore even with antialias. They are fine for tiny screens. As the model may be better than the sprites? This is not real. Model which consists of a polygon whose angular forms, can never replace a photo or drawing. The only advantage of models is that the corpses of monsters can be viewed from all sides. And better framerate, and I don't think sprites are affected by lighting like models. Also, sprites look like cardboard always facing you. It's kind of odd in a 3D environment. Also, models these days are easily realistic enough to make them look much better than any sprite. In Doomsday sprites are indeed affected by dynamic lights and glowing materials. I'll add to this. Sprites in Dday are lit as if they are 3D (doesn't matter if the sprite has rotations or not). Hence if the dlight source is behind a sprite, you have to go around the back of the sprite to see the dlight on the sprite. 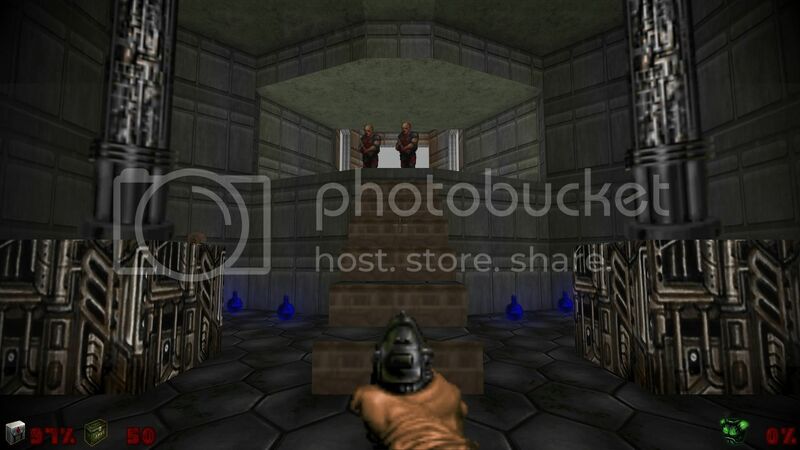 Do they look much better than Doom 64 sprites and also have many more frames? I've been folllowing a Doom High Res sprite project for a while now and they actually have an alpha out although I don't know how to make it work with doomsday. Just putting the PK3 folder into the add-ons folder and putting a check to load it up in snowberry (or whatever they are calling the front end loader these days) is not enough. Doomsday and ZDoom do not share the same directory structures or file naming conventions. Other than that I can think of no reason why that add-on wouldn't work with Doomsday. It should simply be a matter of renaming/reorganising the resources within the PK3. Specifically, the files need to be in 'Data/JDoom/Patches', rather than 'Graphics'. Also, you will need to rename most of the sprites as the author remapped all the sprite names (mainly adding '_L' onto the end of them). You can find the original sprite names inside 'hirestex.txt', inside the PK3. I was wondering why there are no hi-res sprites, but only models (some of which are very polygonal). I like the idea of high resolution sprites. It would be great to have sprites for mosters/weapons and models for the various pick-ups in all 3 major games - Doom, Heretic and Hexen. The best high res sprite pack for a FPS right now is the ones that are currently included with Marathon 2 in the Aleph One engine. It shows how good a high res sprite pack in an old game like that has the potential of being. 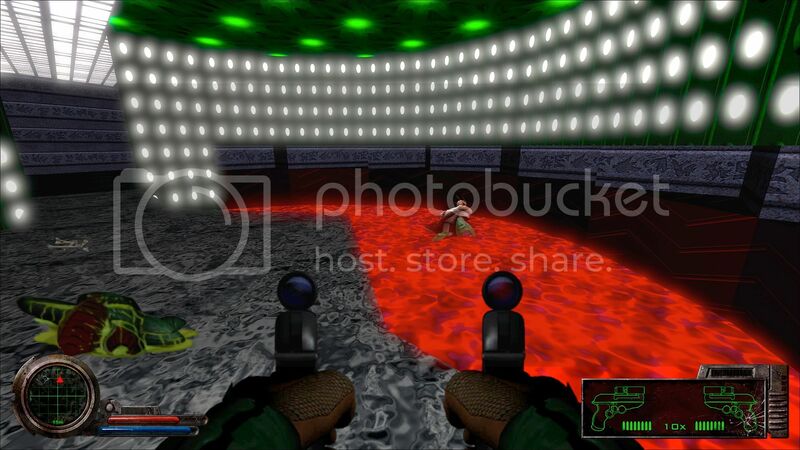 The version being worked on for Doom at the zdoom forums right now is still very alpha and doesn't look nearly as good as that yet but they are slowly working on it. Some of those sprites are starting to look really good and it's on the right track right now in my opinion. Also, in my opinion most of the models that are in there now don't look so good because they where made to Quake 1 standards and no one has gotten around to making any newer ones. I guess all the good modelers are waiting for the features they so want like normal mapping, etc. or something. While the hi-res sprites look nice, nothing beats a well done realistic model with normal maps and a very hi-poly count. You don't even need that high a poly count. With normal and spec maps, you can successfully represent most characters with under 6K polys. Was that a subtle hint? With either sprites or models you need to have great artists that can analyze the original artwork and make it high res but true to the original. Those people are in short supply. But I think the ones working on the sprites are starting go to in the right direction in particular with the lost souls. It's true that technically speaking one can probably do more with high res models with all the bells and whistles. But, I still think high res sprites can look really good when done right and it can be done right now with the features we already have in doomsday instead of waiting 5 years for them to implement all the features required for normal, specular, ambient occlusion, etc. maps. I actually quite like the retro but HD look of having high res sprites rather than models for some games. But again, they need to be done right. I wouldn't go around discouraging people from making high res sprites just because you would like to see 3D models instead. Besides, some people are simply more comfortable with making 2D graphics... and some people would actually prefer for 2.5D games to remain that way and have HD sprites instead of models... a high res sprite pack also has the potential of running on a wider array of systems with more detail than a 3D model pack. Actually, making a sprite pack and high res models doesn't have to be mutually exclusive. Although of course if one was doing it purely in 2D then it is mutually exclusive. But yeah, like some people have done one could model everything in 3D and prerender it at much higher settings than can be run real time and put it into the game. Don't get me wrong though I'm not against a good high res model pack. It just doesn't seem likely now with the current feature set and level of interest due to it... and even if one where to be made I bet some people would still like a sprite pack as an alternative for a more old school feel. So both should be an option. Yes! I think HD 2D sprites will fit better and give the game a more classic feeling! some of them could look out of place. The only problem with these kinds of arguments (which also occurred on the Duke 3D forums), was that the original spites were retouched photographs of models. Also, no matter how hard you try, you won't get a sprite to 'fit in' to the local the way a model will. When (not if) dynamic lighting comes to classic Doom, sprites will never be able to be affected by local lighting effects the way a model will. Also, as also proved on the Duke4.net, the best way of creating sprites is to make a model in 3D, light it and render out a still, which you then use as a sprite. Some but not all where. Some where done with plain old fashioned 2D sprite work. There are also positives and negatives to any solution one would go with. Also, it's possible to mess up any option if one doesn't have the right know how or skill or taste\vision to pull it off. On the other hand it probably is a lot easier to render all the rotation sprites from a model than to try to do it by hand and imagine what the higher resolution version would look from different angles. But that too comes down to skill, know how and vision and good old fashioned motivation... it also comes down to what the person who is donating their time to do the remade assets is comfortable with doing. It's not impossible just very difficult. In the long run models are probably better especially if one can get a sufficient amount of detail and the right style to do the original justice but I don't see the harm in HD sprites as well. No, generally speaking they wont fit into a future dynamic lighting scheme but that's not what a person wanting such a thing is looking for anyway and again, who knows when all the required features for a 3D model with all the bells and whistles is going to go into doomsday and to be frank I feel as if waiting for that has been stalling this. I'm glad somebody is working on HD sprites in the meantime. A set of HD assets that would work in any source port not just the ones that have polymeresque engines. In 2012, the concept of sprites is obsolete. I don't understand why we still use such ancient methods. I'm pretty sure that the use of sprites is very rare these days, even on less powerful handheld and TV consoles, except for the Wii and 3DS, of course. But we all know that Nintendo these days is graphically inferior by today's standards. On everything else, I would expect sprites to be non-existant or very close to non-existant. This is 2012, not 1992. And you where doing so well with your previous post. We are not talking about making a whole new 2012 game here nor are we talking about removing people's choices. You however, are... actually. I get it, you are against sprites... good for you. The people working on the high res sprite project are continuing forward regardless and anyone who is intending on making models is going to do it when Doomsday eventually gets the features required (maybe), period. Unless I'm mistaken Doomsday does not support normal maps, etc. yet. This is not a zero sum game.. those guys who are making sprites aren't getting in the way of models being made. They are free to make sprites. I'm just stating the truth, and the truth is, it is obsolete. Face it. My comments aren't intended as some sort of popularity contest, so to say I was doing well with a post is invalid. I'm not telling anyone not to make sprites, but I will state the fact that they are obsolete. Can you handle the truth? Well they are obsolete just as Doom is obsolete. If all you care about is tech then you should be playing the latest Doom game. 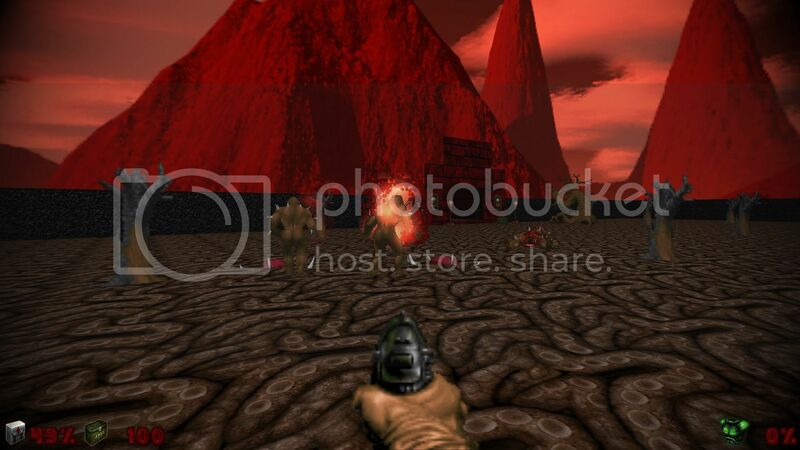 Not a Doom game made in 1992. Can you handle that? Or hell, play other games. The latest Doom is not on the cutting edge of technology any more apart from the oculus rift stuff. You are right, the gameplay is obsolete, but that doesn't mean the graphics need to be. The whole point of a source port is to improve the obsolete game's graphics and features, while keeping the gameplay, style, and story the same since those aspects are what make it enjoyable but is even more enjoyable when combining it with better features and graphics, thus turning an obsolete game into a more modern game when it comes to features and graphics.